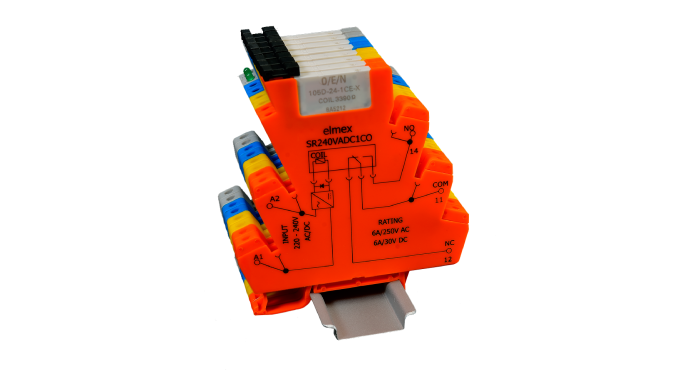 Elmex introduces 6.2 mm, One Changeover & Solid State, terminal unit along with 14.5 mm Two Changeover Relay Terminal Unit for C & I and Automation industry. 6.2 mm housing makes it an obvious choice for space constraint applications. Relay Terminal Units are designed for mounting on TS 35 TOP HAT rails compliant to DIN Standards. These Relay Terminal Units are available for 24V DC/AC and 220v DC/AC actuating signals.